Hi peeps, our March competition just ended with Mathieu Vandewiele being the lucky winner. But don’t worry, we’ve got another great prize coming up! 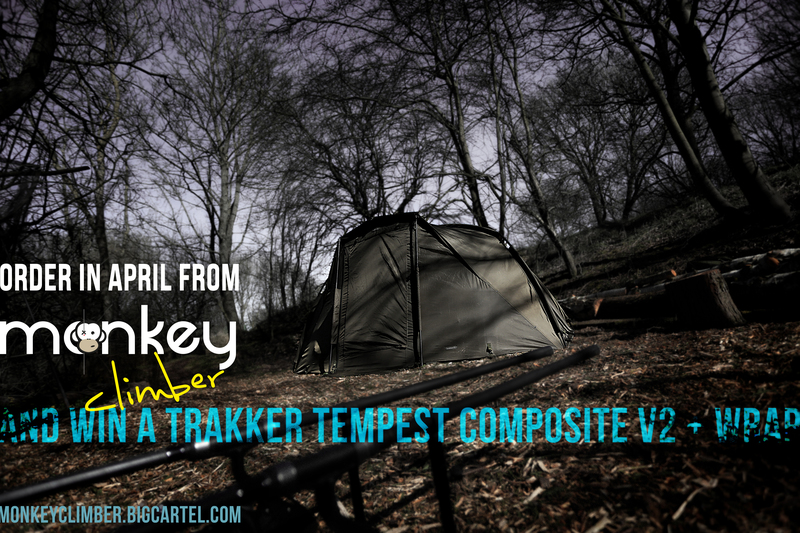 This time you have the chance of winning a complete Trakker Tempest Composite v2 + wrap! Just mega! Instead of doing the usual like and share, we’ve again decided to give it away to our loyal customers: everyone who orders (big or small) from our Bigcartel during the month April enters the competition automatically, winner will be drawn randomly on May 1st, 2018. Spread the word & be lucky! The second generation of Trakker’s super-popular Tempest Composite, featuring their upgraded 10,000mm Hydrostatic Head Polyester and Anti-Twist Pole System, this ultra-strong and easy to use bivvy is quick to assemble and is supplied with two 36” Quick Sticks for extra stability in adverse weather. Dual-zipped doors on the fixed front panel allow you to create a letterbox opening. Trakker has also re-designed the block giving increased strength and durability. Custom made Kids merch: order yours now! Upon general request we now do bespoke Kiddo Hoodies, Shirts and Pocket tees. The hoodies are available in the widest array of colours. Here’s a selection for a customer this week. 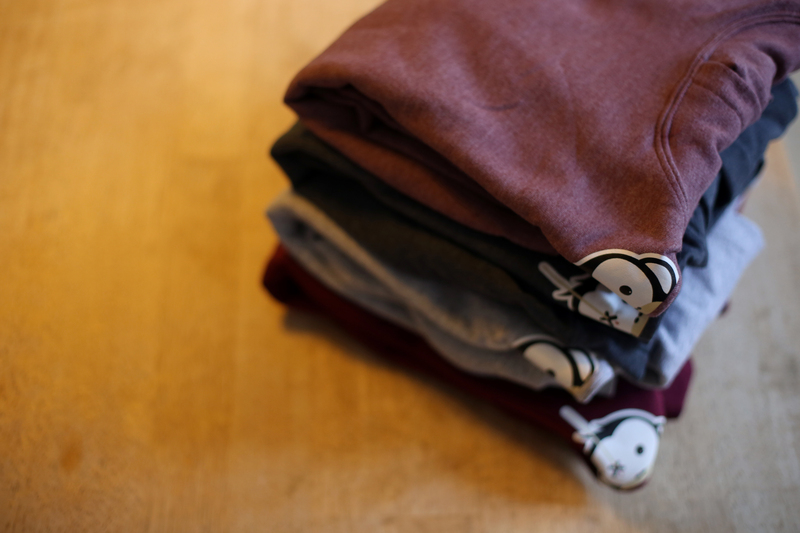 From top to bottom there’s Heather Garnet, Dark Heather Grey, Sports Grey and Plain Burgundy. These go 35 euro’s per piece. 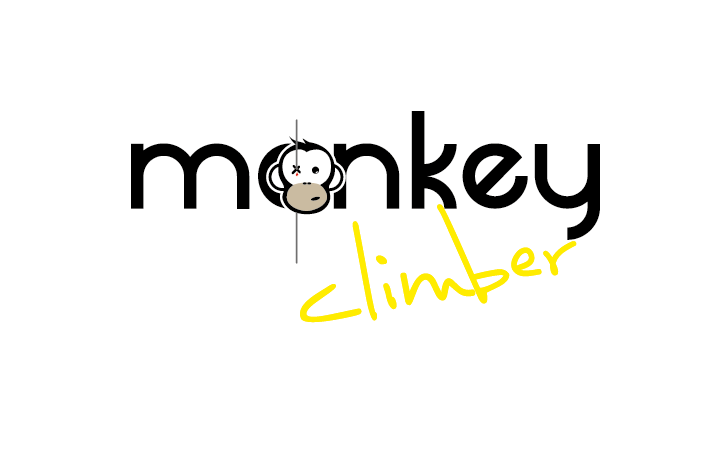 Contact us on info@monkeyclimber.be for the colour(s) and size(s) you would like. Here’s your unique chance to work in the angling trade on the Continent! 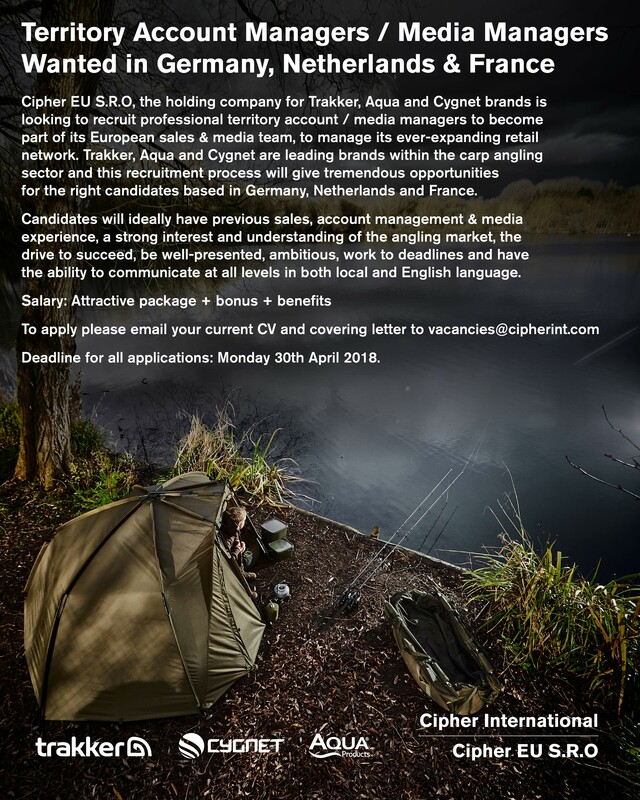 Cipher EU S.R.O, the holding company for Trakker, Aqua and Cygnet brands is looking to recruit professional territory account / media managers to become part of its European sales & media team, to manage its ever-expanding retail network. Trakker, Aqua and Cygnet are leading brands within the carp angling sector and this recruitment process will give tremendous opportunities for the right candidates based in Germany, Netherlands and France. Candidates will ideally have previous sales, account management & media experience, a strong interest and understanding of the angling market, the drive to succeed, be well-presented, ambitious, work to deadlines and have the ability to communicate at all levels in both local and English language. Deadline for all applications: Monday 30th April 2018.